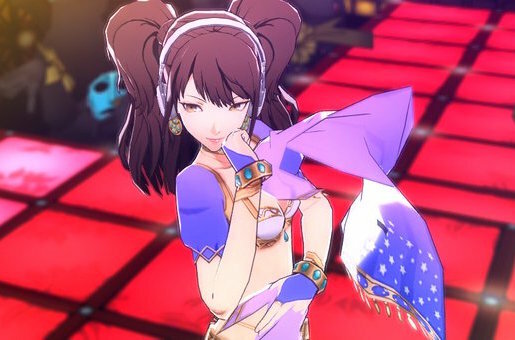 Thanks to one of my eagle-eyed Twitter buddies (@JRPGdotmoe), I now know that there's a figurine coming for my favourite costume from Persona 4: Dancing All Night. Related reading: An in-depth feature on the harem costume; its history and why it's so popular with Japanese game developers. Most of you can probably guess what that costume is; one of the unlocks is a particularly fetching harem/ fantasy Middle East costume for Risette. It's been a fairly popular costume already, with Atlus producing a gorgeous tapestry of Risette adopting a particularly provocative pose while wearing it. 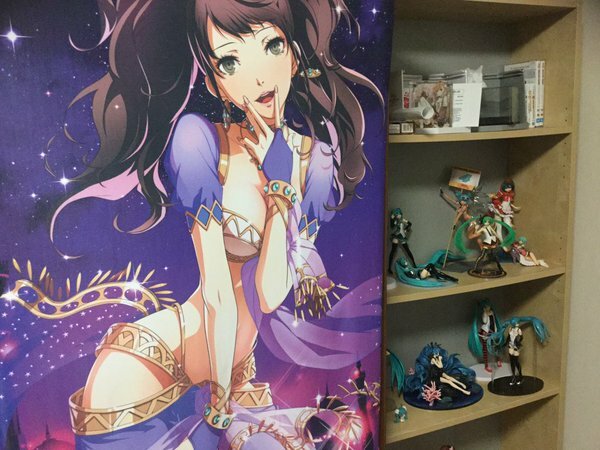 That tapestry is proudly hanging right next to my Miku figurines at the moment. And soon there will be a figurine to go with it. 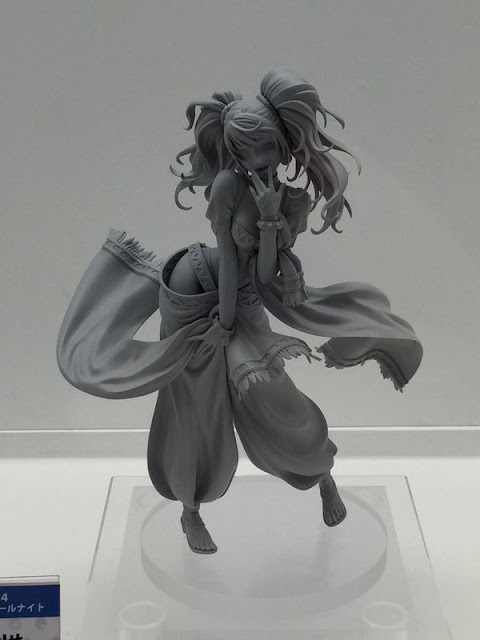 At this stage there is just a sculpt model that has been displayed at an expo (last weekend's Wonder festival in Japan), but soon enough the completed version will be on sale in places. Once we figure out where those places will be you'll be the first to know. Related reading: Our review of Persona 4: Dancing All Night, which this costume comes from. And, one has to suspect that if SEGA, Atlus, and figurine manufacturers are still so interested in Risette to be producing full-quality figurines of her, we haven't seen the last of her yet. I'm calling this now; either a full, Final Fantasy VII-style remake of Persona 4, or a Persona 4-2. Either way I'll be happy in the extreme.